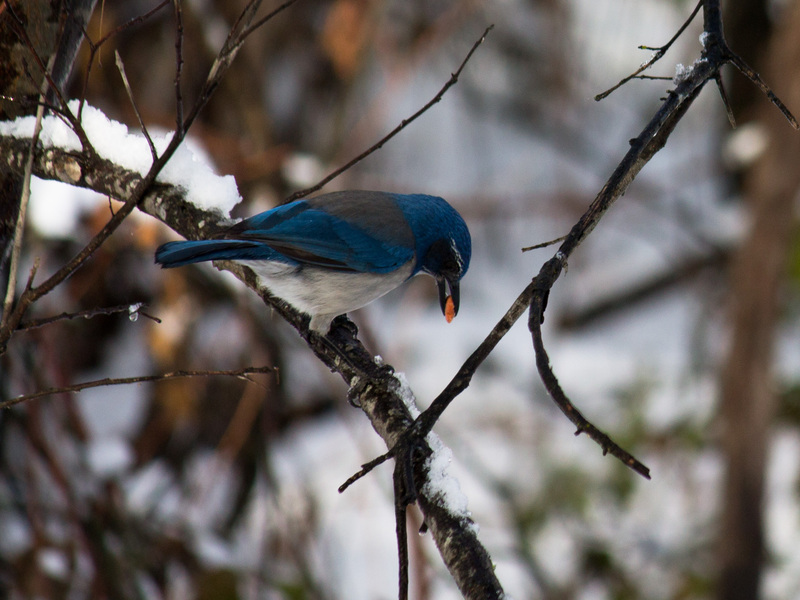 A rare winter snowstorm in Redding didn’t deter this scrub jay from finding a meal. Corvids (ravens, crows, jays, and magpies) are notoriously intelligent, crafty, adaptable, and kind-of-jerks-but-maybe-in-a-good-way. Not featured: the large stray cat approximately 4 feet below.